What happens when one of history's wisest men sets his mind to consider how to live a full and fulfilling life amidst all of life's absurdities? 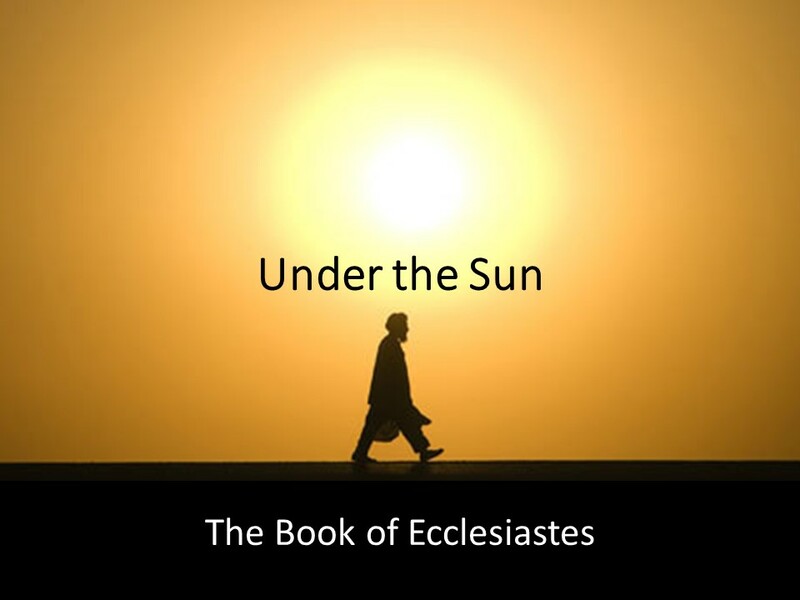 Join us for our sermon series through the book of Ecclesiastes to see his timeless insights. You will be encouraged and challenged to choose either a life "under the sun" or a life with God at the center.